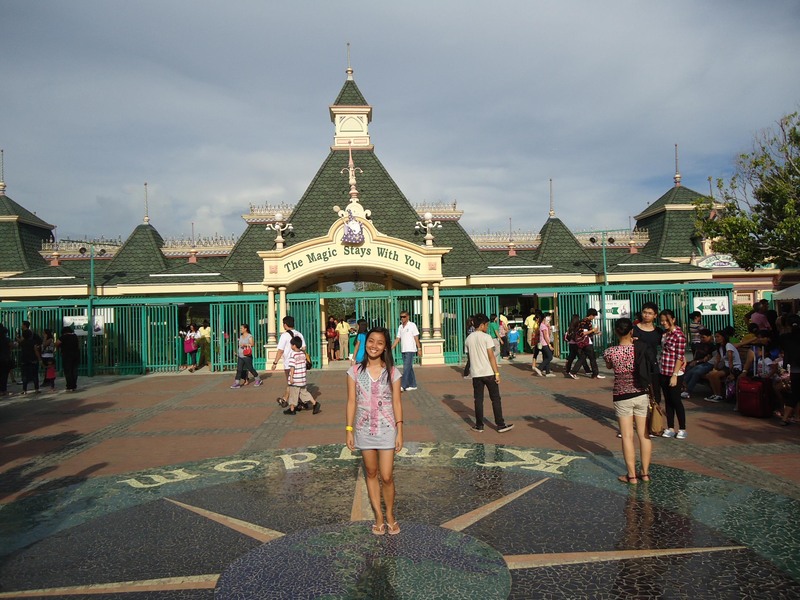 At Enchanted Kingdom, the magic lives on | sipping coffee. 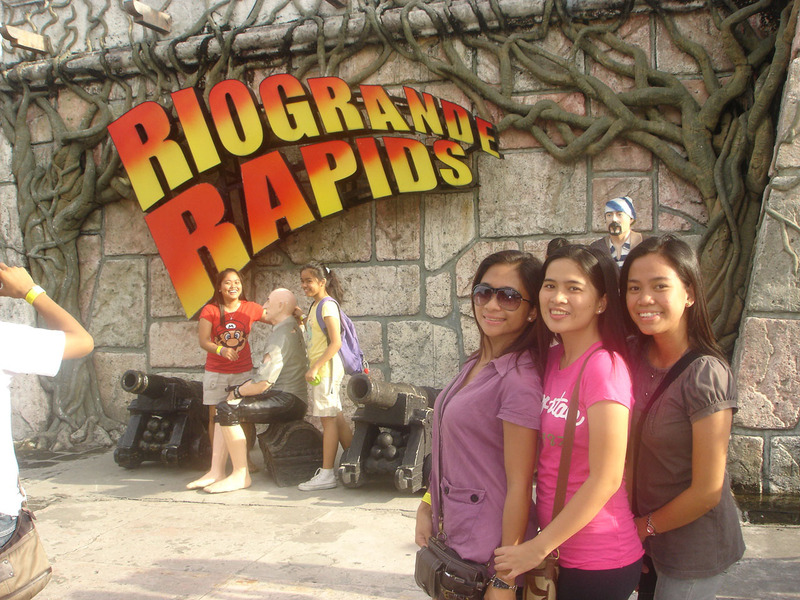 . .
As a getaway to the south away from the subtle and bustle of office routines, I and my friends (who are also my officemates) planned to give a surprise visit for our dear friend (ex-officemate) in time for her birthday last June. 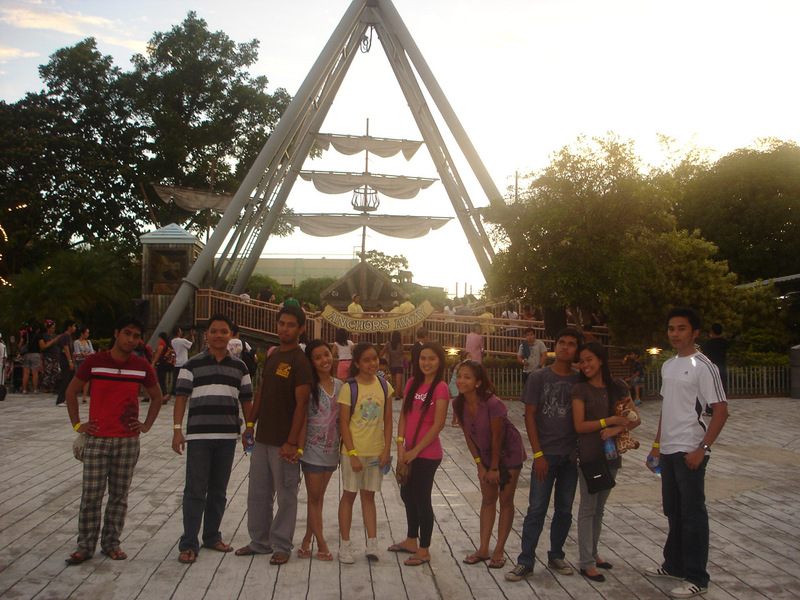 Alongside with this, we also went to the Enchanted Kingdom (EK) to fill our bloods with exciting treats. 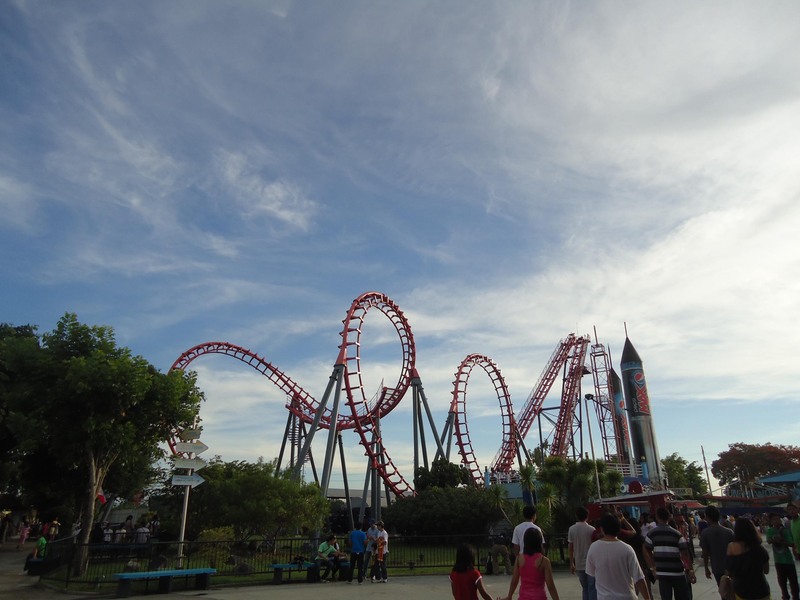 EK, as most describes it, is a perfect place to visit for another level of excitements. 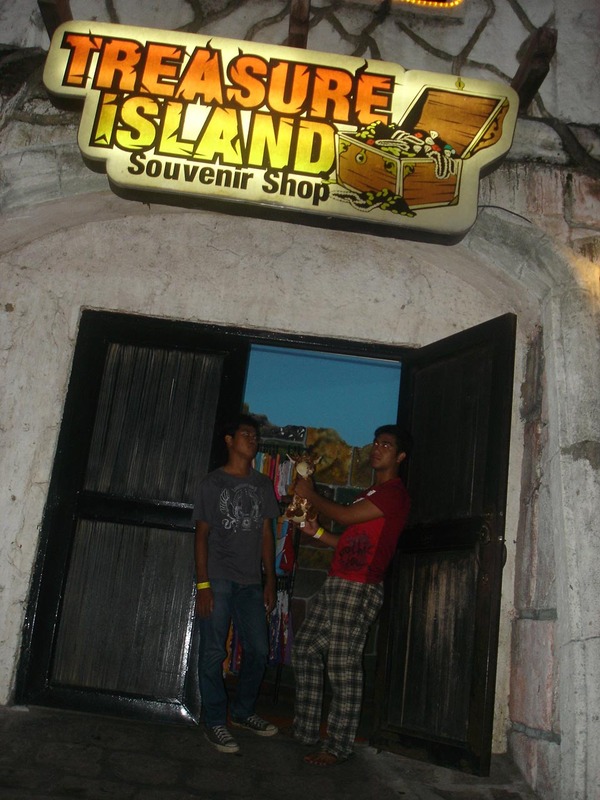 The place enthralls the throng with its seemingly magical kingdom. 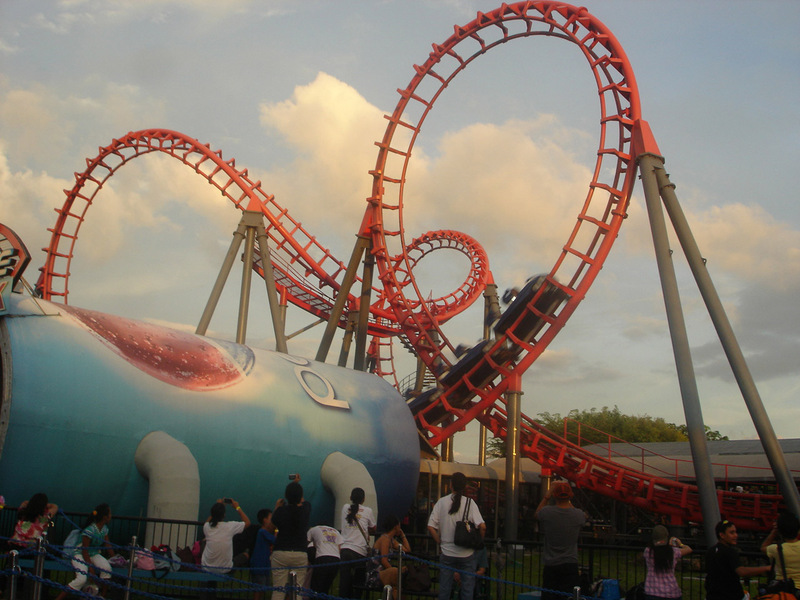 It is engulfed with various venues where the height of exhilaration keeps on going a notch higher with every experience. The gateway to the magical kingdom. 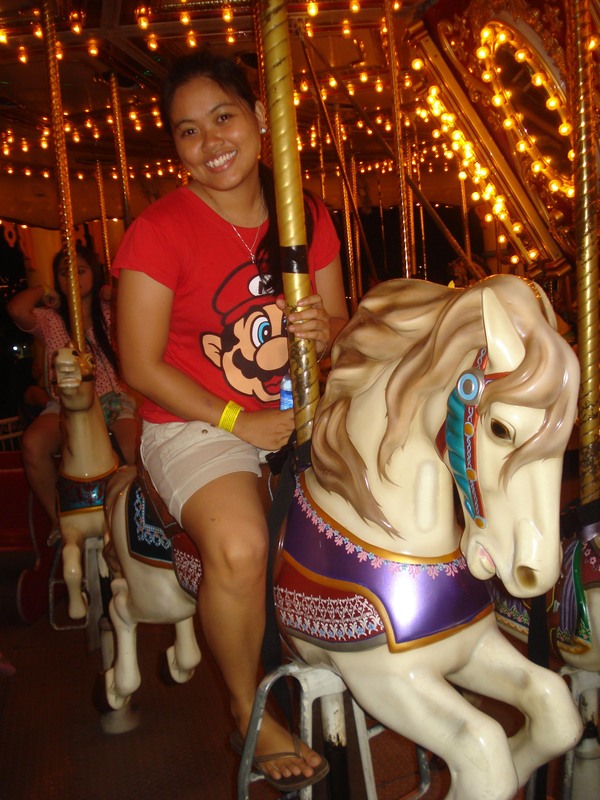 Our friend, Leslie, celebrated her birthday with us here at EK. 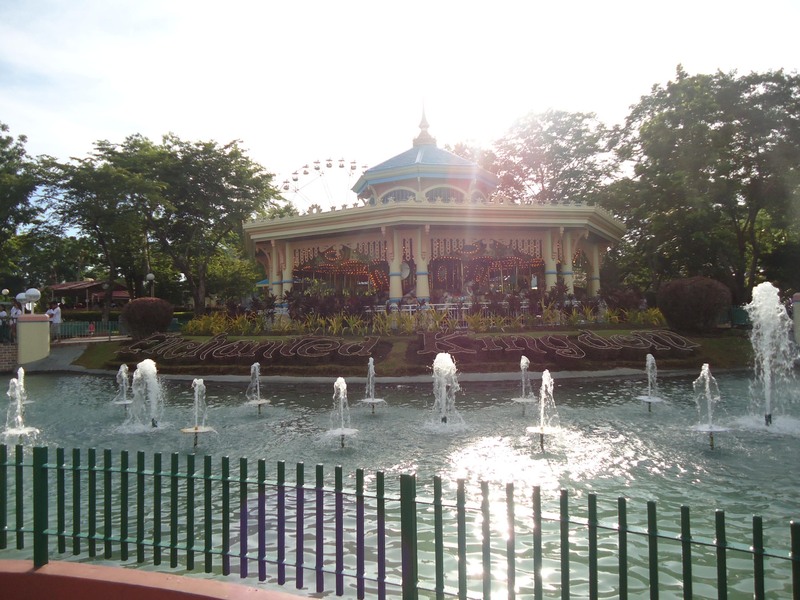 Upon entry, EK greets you with its stunning fountain. 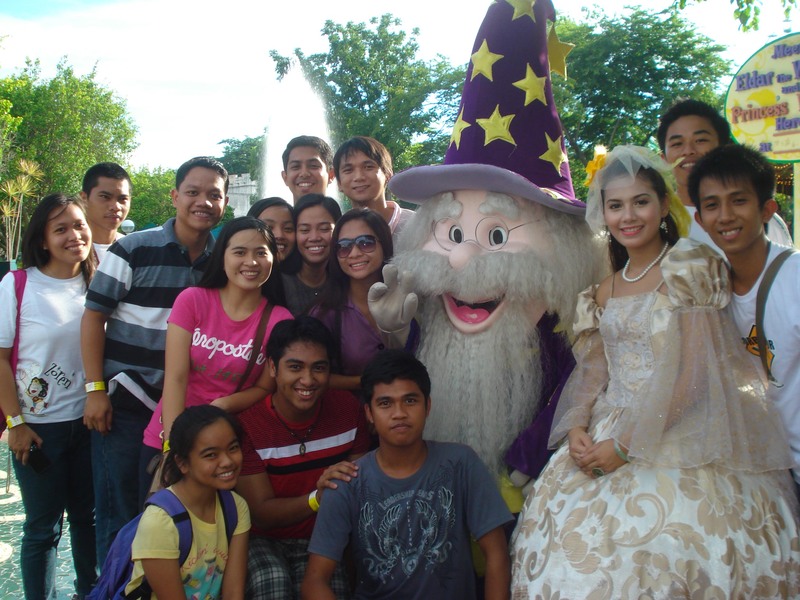 We also had an enchanting moment with Eldar the Wizard and Princess Victoria. Anchor Wat. 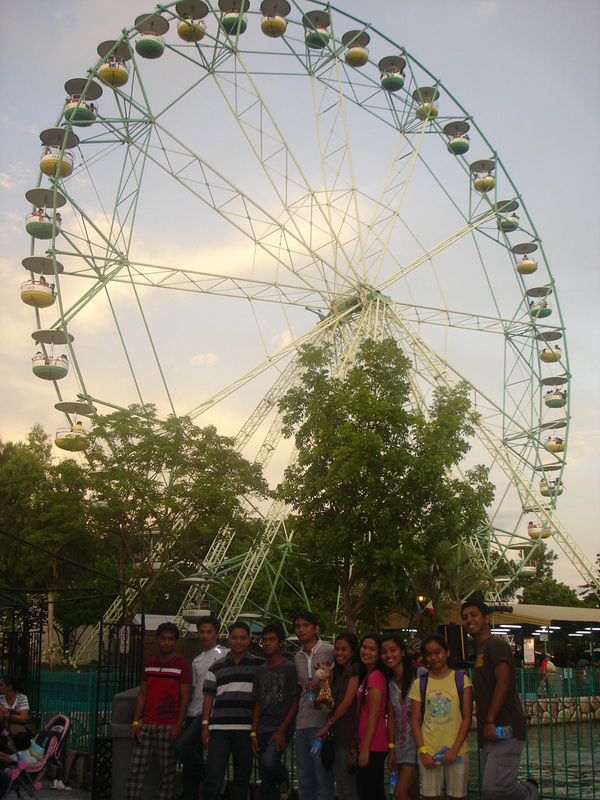 One of the best rides ever! 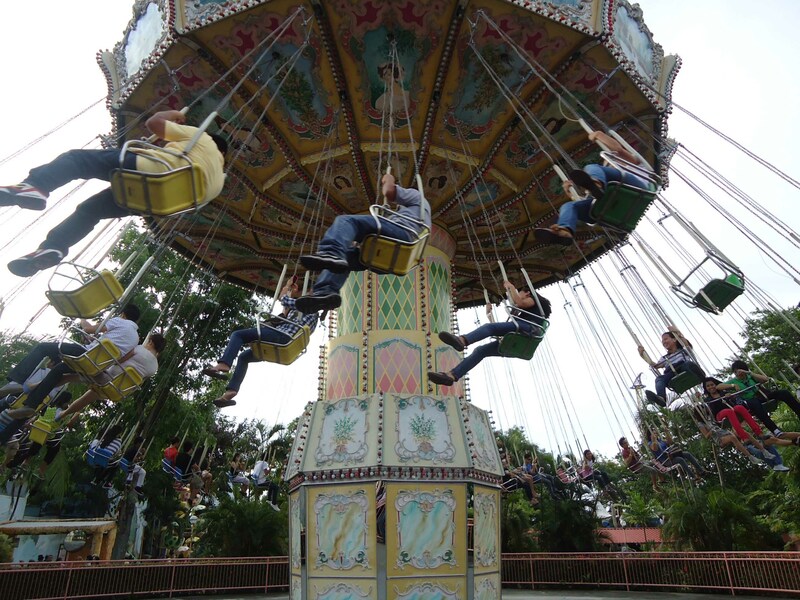 I kept on roaring during the entire ride I nearly lost my voice! 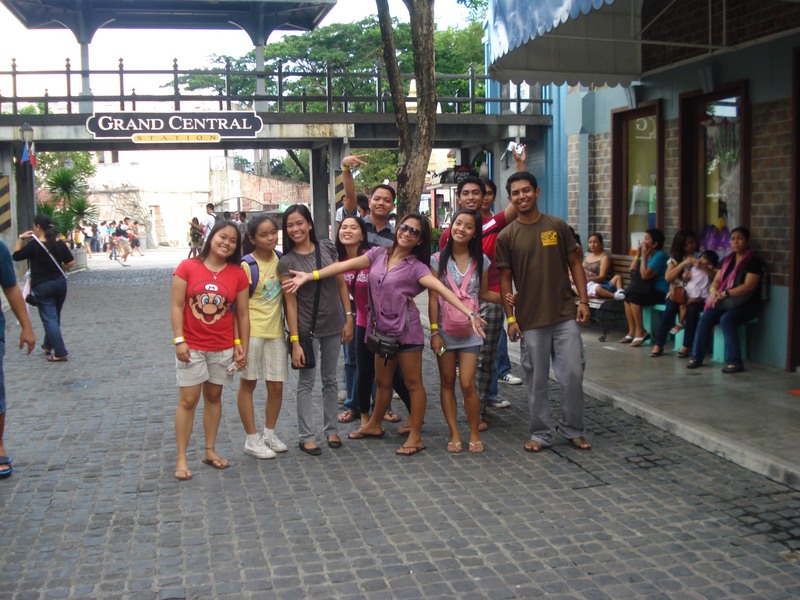 It was uber fun, nevertheless. Roaming around the kingdom and feeling every inch of magic flowing through our curious nerves. 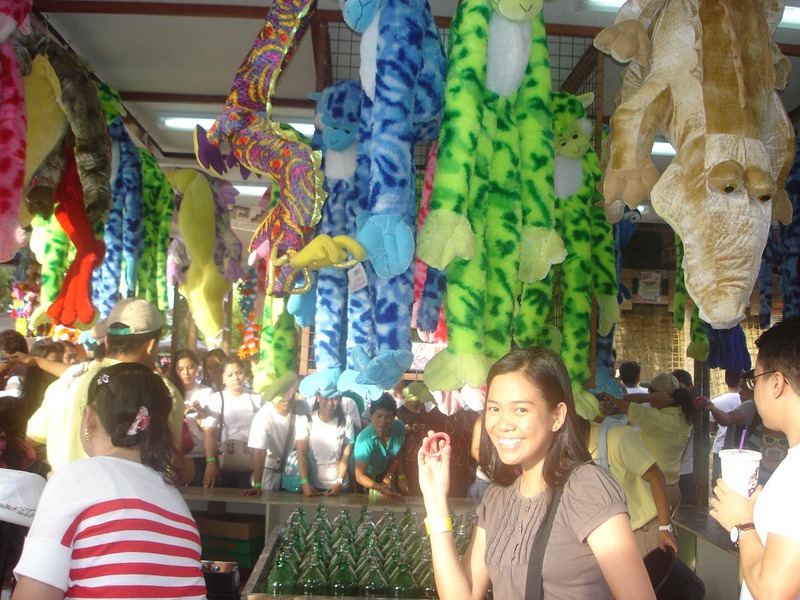 It also offers exciting games where you can shoot exciting prizes such as huge, huggable stuff toys. My friend here just won a cute giraffe. 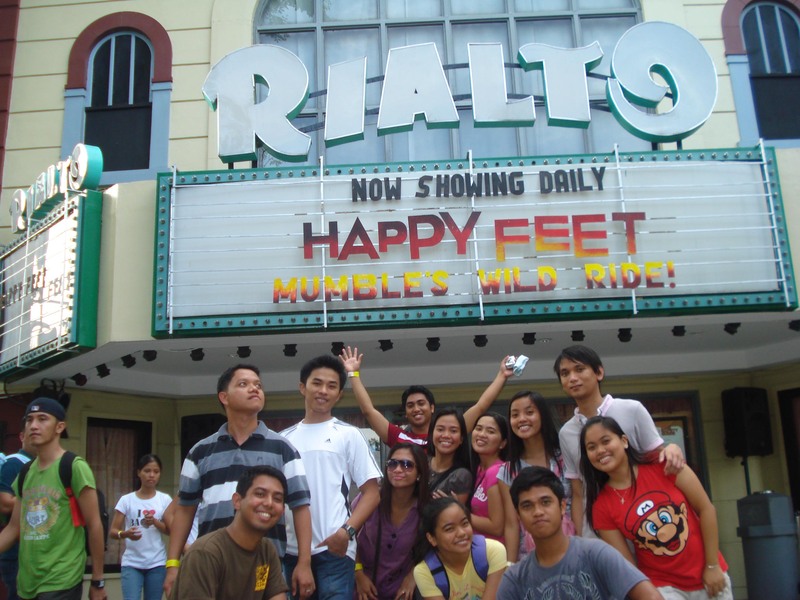 For exciting mumble rides, Rialto is the way! They also perform live shows when the moon starts to peep through the kingdom. I was nervous, and twitchy, and scared beyond words! It was the first time in my life that I literally felt my soul departed from my body! 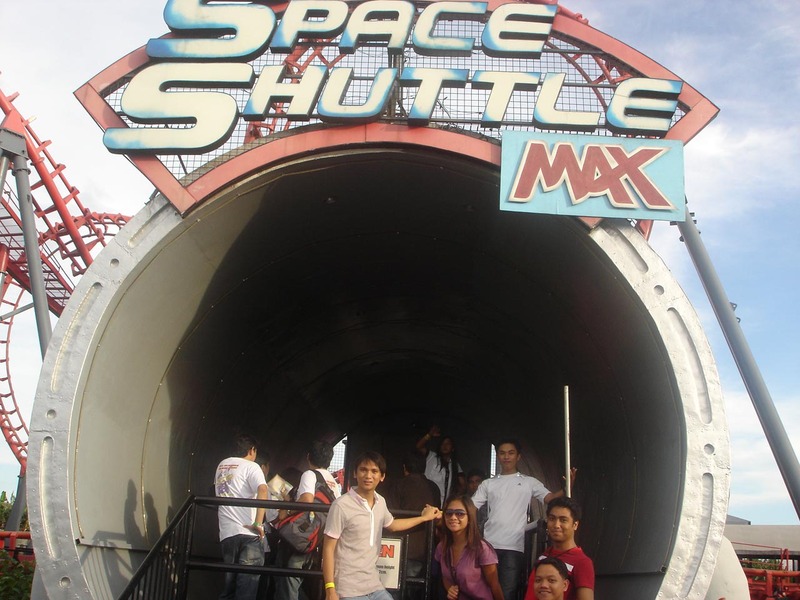 For the whole duration of the ride, I was praying hard saying: God, if I won’t make it out alive today, please take good care of my family and please, please, let EK management burn this shuttle ride to save more lives! I was cursing the whole time my life was in peril! So glad we made it alive! 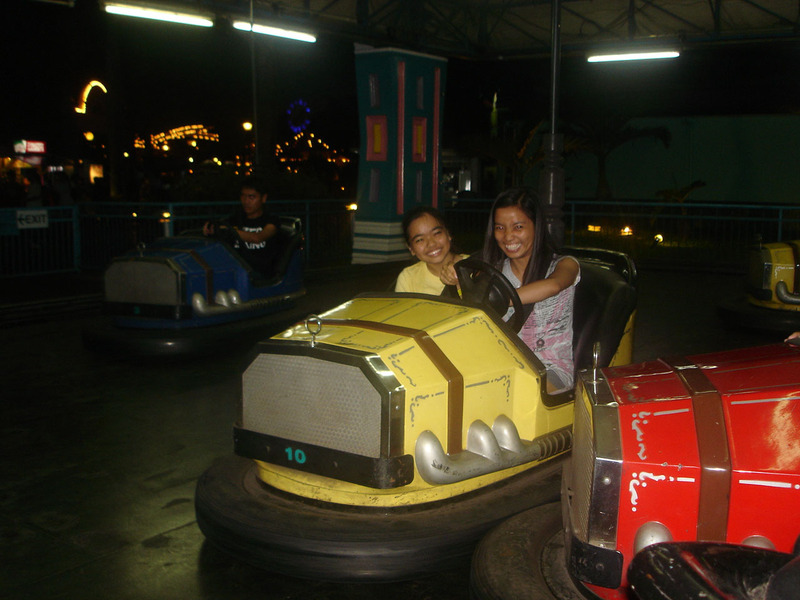 And I realized I just had the ‘bestest’ ride ever! Where there is magic, there is treasure. 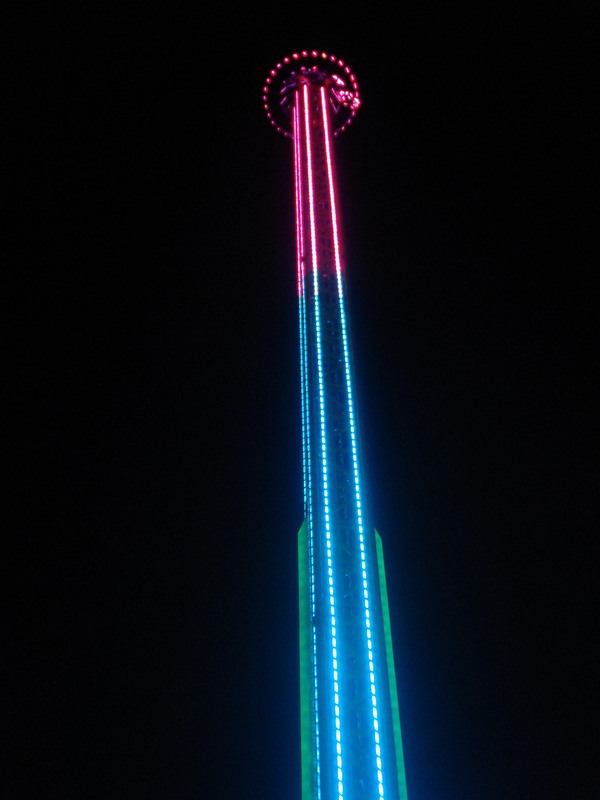 The EKStreme tower ride. So extreme I didn’t dare to ride. I’ll try it when I gain enough courage though. I am crossing my fingers and toes. 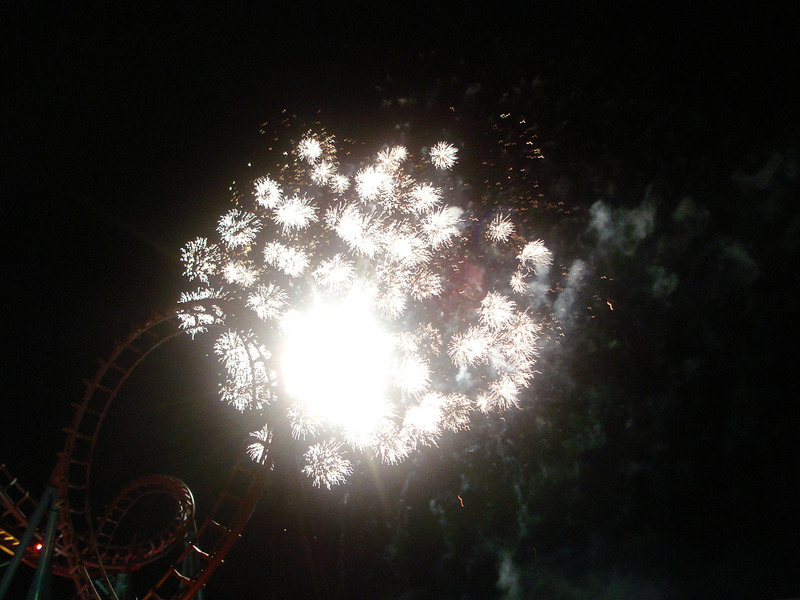 The magic was in full circles as fireworks splashed through the dark sky. It was simply captivating. We bid goodbye to the magical kingdom. Our fantasies which ran free in our dreams for years were made real. 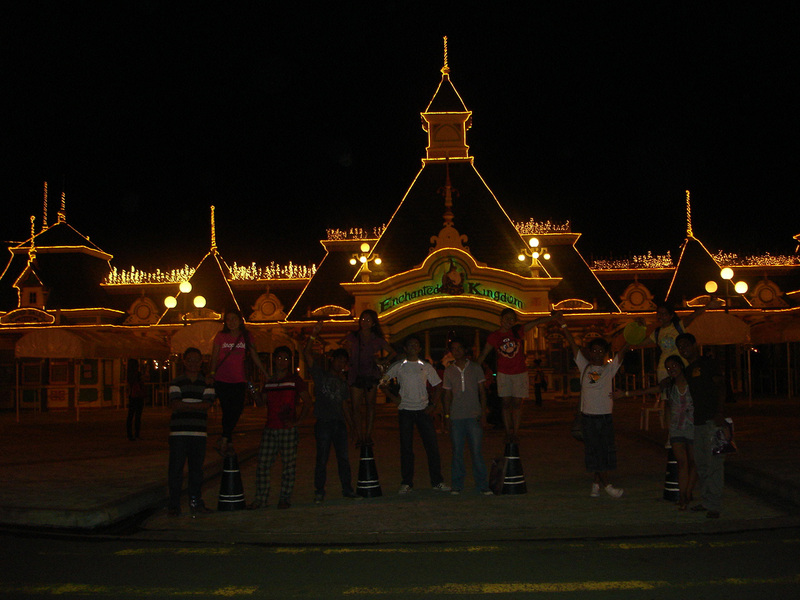 And as the EK motto puts it: The magic lives on. And so it does.